"International Trade Show on Agriculture – Food & Beverage Technology – Food & Hospitality"
130 EXHIBITORS from 20 countries! – 10 OFFICIAL COUNTRY PAVILIONS! 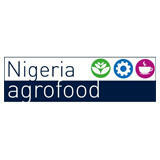 agrofood Nigeria is an international trade fair covering the entire value chain from field to fork consisting of three sub-events with the following exhibition topics: - agro Nigeria (agriculture) - food + bev tec Nigeria (process & packaging machinery, food ingredients) - food + hospitality Nigeria (food & drinks, foodservice equipment). The 3day event will be held from 27-29 March at the Landmark Centre in Lagos, Nigeria. It will gather international and Nigerian industry leaders, investors, experts, academia and journalists to discuss latest technologies and conclude business. In order to create valuable synergies for exhibitors and trade visitors alike, agrofood Nigeria is held in conjunction with plastprintpack Nigeria. 5 29 Mar 2019 ODIBA JOSEPH Sales Manager at AAFUD INDUSTRY (NIGERIA) CO., LTD.
3 29 Mar 2019 Utomi B. Ame Administrative Manager at Realflex express limited. Some Nigerian exhibition stands should be more accommodating to fellow Nigerans. The show was indeed great. Highly Impressive, the quality of the exhibition floor, plan, quality of kiosks, goods showcased and presentations as well planners, receptions and venue. It was very successful. I am happy to be part it and I also delivered a presentation on day 2.